Today an e-mail came to my inbox that I couldn't ignore- Worldmate was having a sale on the Gold version of it's app! This app is one of the most useful an functional apps on my phone! 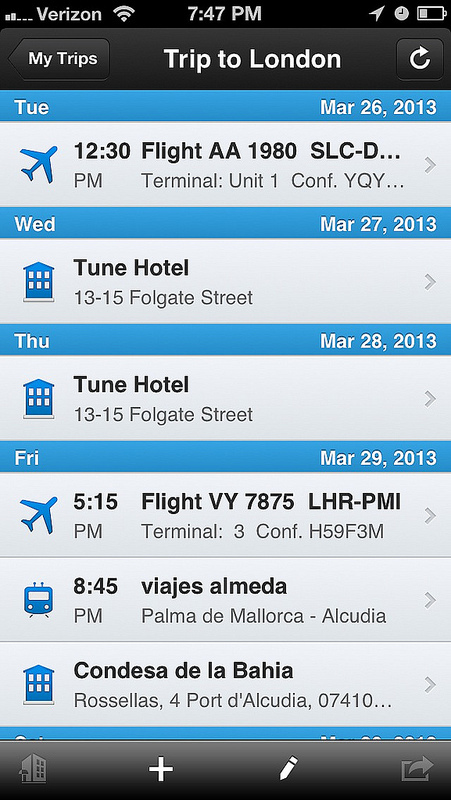 Worldmate is an app for travelers. The most useful thing about this app is that once you have linked you e-mail to your Worldmate account, any of your trip confrimations can be forwarded to trips@worldmate.com and the app will conveniently store them and organize each trip for you. This is invaluable when you are traveling, not needing to worry about printing or digging up reservations and confirmations makes one less thing to deal with while traveling. All of the info you need is stored in the app. I have been wanting to try the premium versions of some of these apps because of how functional they are but the price tag is more than have been willing to pay. 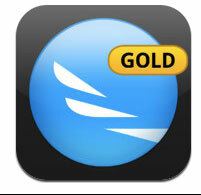 Worldmate Gold is $10 and other competing apps like TripIt charge upwards of $50! I have stuck with the free versions but there have always been one or two things missing from each one, so when I saw that Worldmate Gold was on sale for just $3.99 I figured it was the perfect chance. Here is a screenshot of my last trip that I used the free version and took full advantage: multiple flights and airlines, hotels, and transportation. All of them easily loaded in by forwarding my confirmations. From what I can tell the biggest addition the Gold version has over the free app is that it will give you real time updates on flights. My only real criticism is that I can't store all my frequent flyer miles. This is the dilemma I have been having about not finding just ONE travel app. 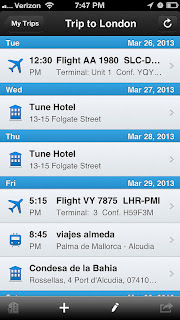 I would be thrilled to find an app that features the same e-mail itinerary to app function and also will store all my frequent flyer numbers. If you know of one please share. Oh I almost forgot to mention that it integrates social sharing to make it easy to loop people on a vacation or let them know when you will need to be picked up! Try Worldmate Gold now for the reduced price!